On Friday 5th June 2009 the people of Navan went to the polls and elected the following to the Navan Town Council : Brennan Phil Independent, Cassels Shane Fianna Fail, Dean Francis Independent, Fitzsimons Padraig Fianna Fail, Holloway Jim Fine Gael, Jamal Suzanne Fine Gael, McCabe Anton The Labour Party, Reilly Joe, Sinn Fein, Toibin Peadar, Sinn Fein. Anton McCabe and his proud mother Nancy on the night Anton was elected to the Navan Urban Council 6 June 2009. Margaret McCabe, Anto McCabe and Christy McQuillan. Anton. McCabe, Josephine. Sheils, Christy. McQuillan. Tina O'Brien and John Doyle. Anto's angels, how come you're such a hit with the girls? 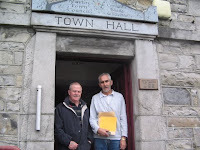 Outside the Town Hall the day I signed Anto's nomination papers. Jim O'Brien and at the back Ger Lynch. Jim O'Brien director of elections. Left, Tina O'Brien and Jim O'Brien same name not related at fund raising night in the Balreask Arms Trim Rd. Right : Rose O'Brien, Elen Smyth, Margaret McCabe and Josephine Sheils at fund raising night Balreask Arms Trim Road Navan. 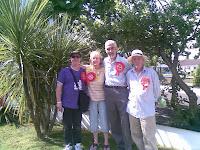 Third from right Eamon. 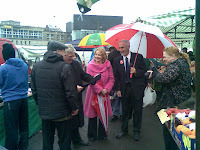 Gilmore, leader of the Labour Party, Nessa Childers on his left and Anton McCabe canvassing at the Friday Market Fair Green in Navan. Nessa was elected to the European Parliament and Anton was elected to the Navan Town Council. Below on the campaign trail : L/R J. O'Brien, Ger. Gibbins, A.McCabe, M.Sheils, Noel. Smyth, Ger. Lynch. L/R: Ger Lynch,Noel Smyth, Anto McCabe,Jim O'Brien and Ger Gibbins.